Since 1953, the Oregon Cattlewomen have been participating in the advancement of the cattle industry through promotion and education. 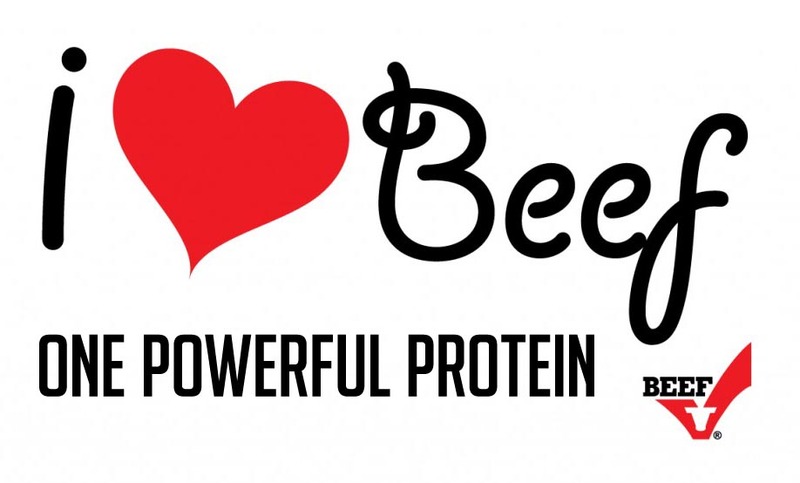 The 5K/10K “Hoofin’ It To Beef Fit” is an extraordinary event hosted by people who love the land, animals and nature. It’s a race that offers a taste of what the Oregon Cattlewomen do statewide in public outreach throughout each year. Proceeds from the race help purchase a steer that is auctioned off at half time of the annual East/West Shriners Football Game. A phenomenal amount of money has been raised in past years for the Shriners Hospital for Children from the steers provided by Baker County Cattlemen and Cattlewomen. Come “hoof it” with us! 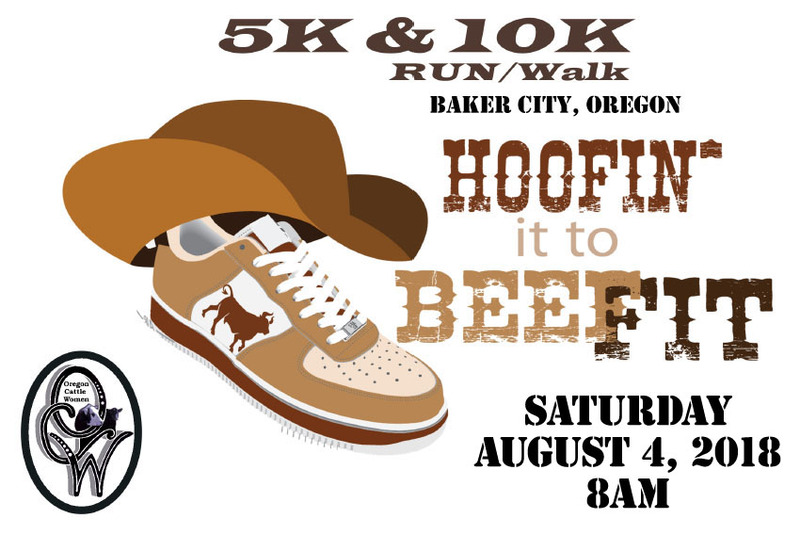 Our third annual “Hoofin’ It To Beef Fit” 5K/10K Run/Walk kicks off Saturday, August 4, 2018 at 8 a.m. “Hoof it” past ranches , along the Leo Adler Memorial Parkway, and aside the Powder River, ending at Geiser-Pollman Park on Madison Street in downtown Historic Baker City. The terrain is flat and the entire race runs at about 3451 feet elevation. The finish line will feature a life-size bull to take selfies next to (to show that you really were hoofin’ it!). Race proceeds help fund the purchase of the ever-popular Baker County Shrine Steer, which will be auctioned off to benefit the Shriners Hospital for Children. This is a great way to help support children throughout Oregon. The 5k race starts at Thomas Angus Ranch at 42598 N. Cedar Street, Baker City, Oregon, where people can enjoy a little touch of ranchlife as they gather. The 10K course just added this year begins at The Mackenzie Ranch at 19265 Chandler Lane, Baker City, Oregon. Gathering time, sign in and registration begins at 7 a.m. at the start line. Hoofin’ It time begins at 8a.m. The cost of registration is $25 for the 5K and $35 for the 10K; pre-registration is strongly suggested to ensure t-shirt size. Prizes will be awarded. The award ceremony will be held near the finish line, following the race at 9:45 a.m. Call or Text 208-850-3803, or email us, for more information. Or visit our Facebook page. 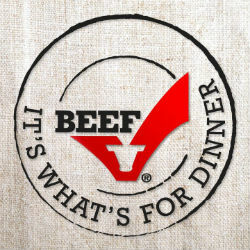 After the event, the Baker County Cattlewomen will be hosting their well-known steak breakfast and Gridiron Tailgate Event.